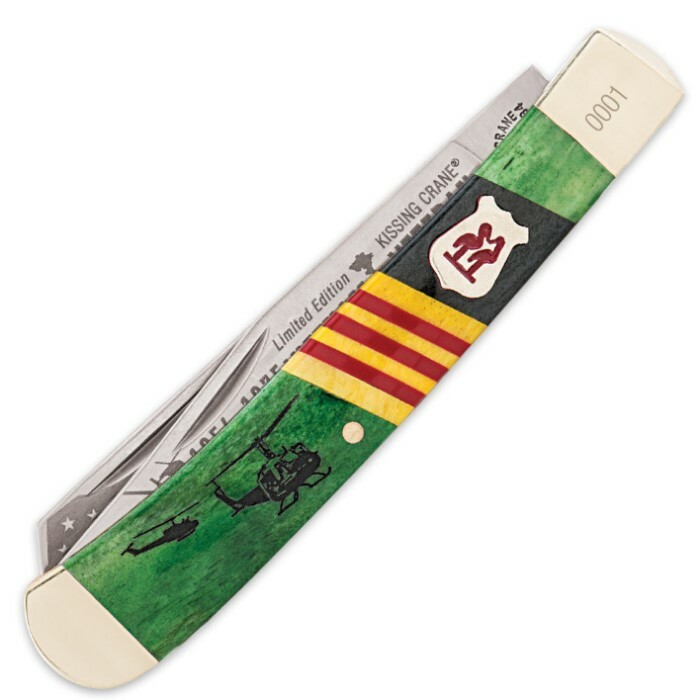 Kissing Crane Limited Edition 2016 Vietnam Veteran Trapper Folding Pocket Knife | BUDK.com - Knives & Swords At The Lowest Prices! 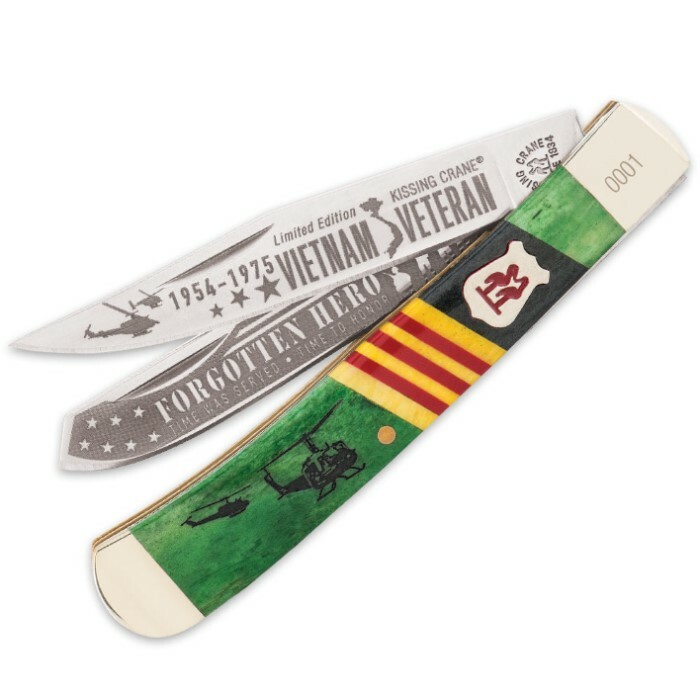 The Vietnam Veteran Trapper Folding Pocket Knife from Kissing Crane is an awesome memorial to our veterans of this war. 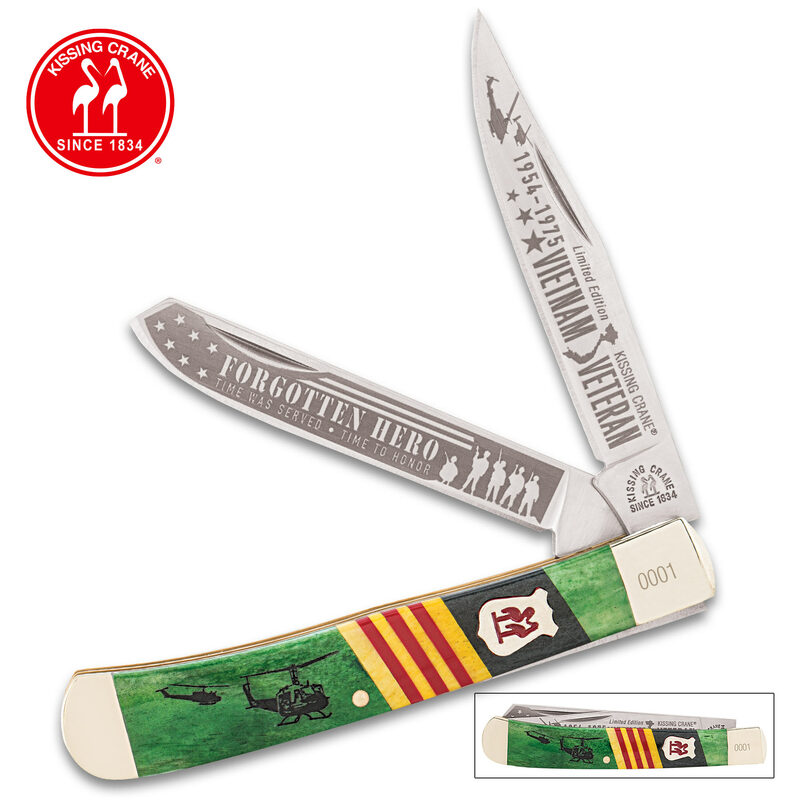 This 2016 limited edition folding pocket knife features razor-sharp 440 stainless steel blades with commemorative Vietnam Veteran etchings and a handsome genuine bone handle. Polished brass bolsters, pins and accents and the classic Kissing Crane cast shield complete this exquisite design. Each one is laser serialized on the bolster. Good craftsmanship and good price. My Dad and Uncle both loved it.